Give your clients the gift of a 15-month rate guarantee! All Savers is offering a 15-month rate guarantee for new and select renewing groups with 12/1 and 1/1 effective dates, at no additional cost! That’s right, the rates for the 15-month are the same as the 12-month option. It’s a win-win! Your groups will enjoy the peace of mind of a 15-month rate guarantee and you’ll be moving business from your busiest time of the year! Groups are required to sign a 12-month or 15-month attestation form for Dec. 1 and Jan. 1 effective dates. 8 HSA plans with Medical and RX copays after deductible — Up to a 20% savings!!! New Primary Focus Plans – Provides up to 18% savings!! Includes Motion to help enrolled Employees & Spouses each earn up to $1095 annually!! New Flex Focus Plans – Provides up to 18% savings!! We are currently working to re-quote all prior 8/1 and 9/1 quote requests. Kick-off 2017 with an opportunity to make more money! UnitedHealthcare has announced a new Sales Bonus for All Savers® Alternate Funding Cases with up to 50 Eligible Employees with effective dates from Feb 1 – Sept 30, 2017. Agents in Texas can earn $100 – $500 per group written if they meet the bonus eligibility requirements. See attachment below for bonus program details. If you have any questions, please contact your TIE Sales rep at 972.991.6500. AllSavers is now allowing groups down to 5 eligible with a minimum of 5 enrolling. This is going into effect for 10/1/16 and will be available to quote tomorrow, Wednesday, August 17, 2016. Want to learn more about All Savers wellness programs? Be sure to visit the All Savers Wellness University to watch short videos and webinars about Rally, HealthiestYou and Trio Motion. Visit www.AllSaversWellnessUniversity.com today! The All Savers employer website is now available for your groups to view information regarding their medical plan. Notices with login information have been mailed out to the groups via US Mail. We have provided you with a sample letter and flyer to better assist you when your group calls with questions. 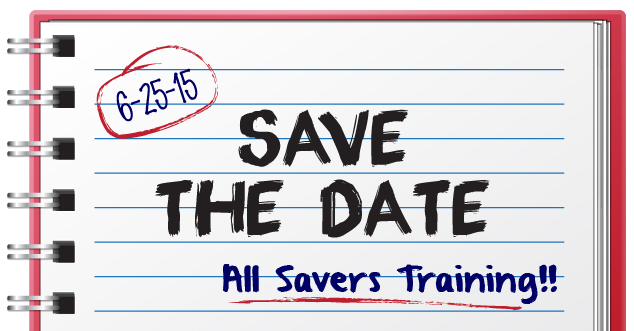 Training for All Savers coming soon! UnitedHealthcare’s newest level funded program, All Savers, is taking the market by storm…here is your chance to learn more! Reserve your seat today for the June 25th morning or afternoon training session by calling us at 972-991-6500. If you’re not marketing All Savers® to your groups, someone else will. Don’t miss this exciting opportunity to help your clients save money! Ready to get contracted? Contact Joe Sherman at 972-404-2621 today!